We’d love your help. Let us know what’s wrong with this preview of The Novellas of Martha Gellhorn by Martha Gellhorn. Spanning more than 40 years and settings that range from Depression-era America to the smartest London dinner parties to the highlands of East Africa, the novellas of Martha Gellhorn display the same qualities that have made her one of the most famous journalists of the twentieth century: an indelible sense of place, prose of breathtaking swiftness and precision, and an unerring fix on the hidden motives of her characters. Above all, Martha Gellhorn explores the ways men and women live privately--and often passionately--amid the rush of history. 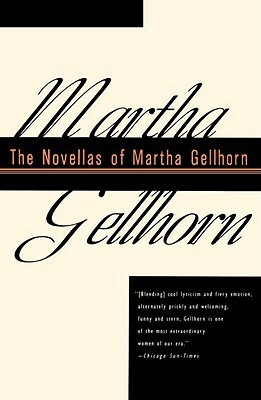 To ask other readers questions about The Novellas of Martha Gellhorn, please sign up. She was an excellent observer of the world so these stories provide great descriptions of the time and places that they are set, even if they are a little thin on plot. I believe that Gellhorn's nonfiction overshadows her fiction (like this set of novellas). American novelist, travel writer and journalist, considered to be one of the greatest war correspondents of the 20th century. The Martha Gellhorn Prize for Journalism is named after her.